Once upon a time, there was an entrepreneur who created a unique tool to remove mud and other debris from muddy shoes. 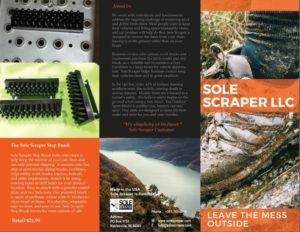 The product was perfect for farmers, hunters and all people who love the outdoors but just didn’t love what they brought inside with them. The entrepreneur needed an inexpensive way to communicate why this product was needed, how easy it was to use, as well as its cost effectiveness. The first marketing tool to be created was a brochure. The entrepreneur, wanting to keep costs low, wrote and laid out the pamphlet without the help of an expensive agency. It was then sent to Worrell Corporation for a quote. 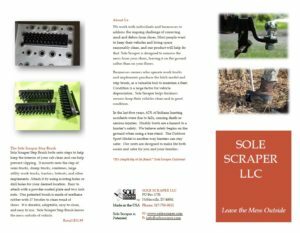 After a brief telephone call to see if Worrell Corporation was interested in producing a brochure, the client received a definite “YES.” A quote was quickly developed and then accepted. The document, laid out in a Microsoft Word, was sent ready for print. (See exhibit A). This is when the brochure was passed along to the Worrell Corporation designers who quickly went to work. 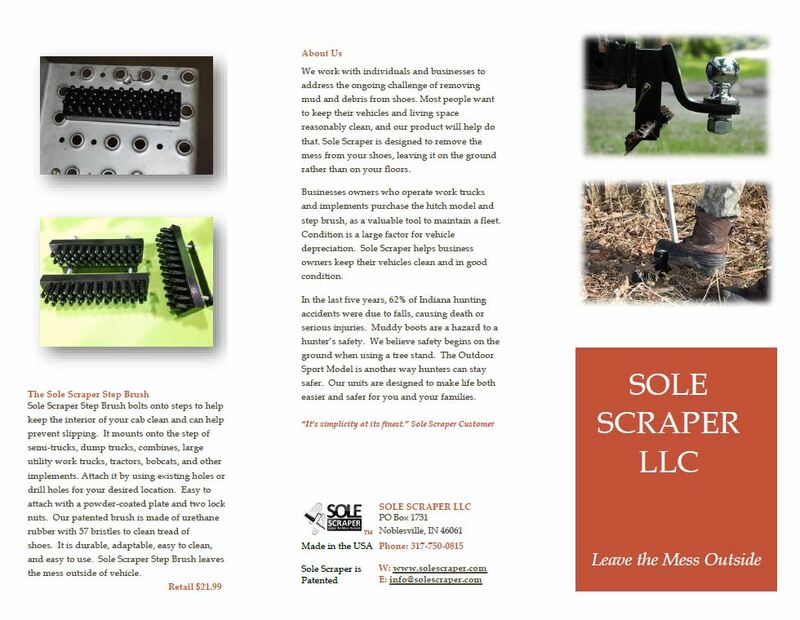 In less than a day, a new design was created and sent back to the new business owner. “This is great, how much does it cost?” asked the entrepreneur. “Nothing,” was the response as most design jobs at Worrell Corporation come with free & professional help. This is not a fairy tale, but a true story! There is an old saying in marketing, “Good, fast and cheap – pick one.” That old saying is proven wrong at Worrell Corporation day after day as businesses are discovering they can get all three. It’s not every day you can make a positive difference, but when you do, you feel good. That’s why Worrell Corporation employees love their jobs. Helping businesses make a strong impact with its brand is what Worrell Corporation does. Business owners and entrepreneurs may only have one chance to show a prospect what they’ve got – and Worrell is here to help. 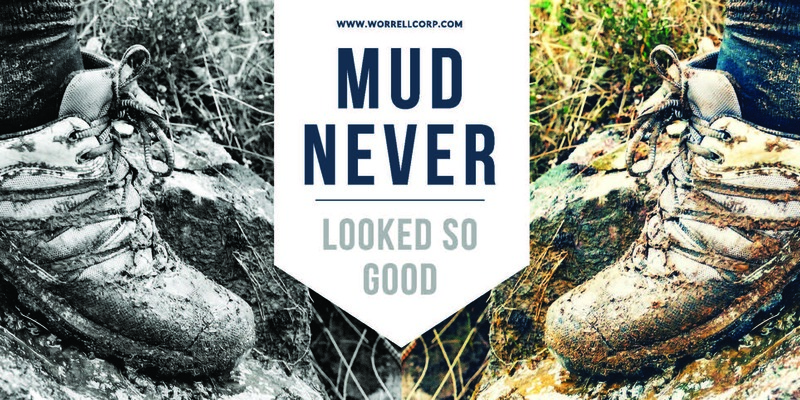 Here’s to making mud look good!